The Word of God is an absolute necessity. All sixty-six books were inspired and authored by the Holy Spirit of God using 40 human instruments. Orthodox Christianity believes that in the Scriptures in their original manuscripts are without error and fault. 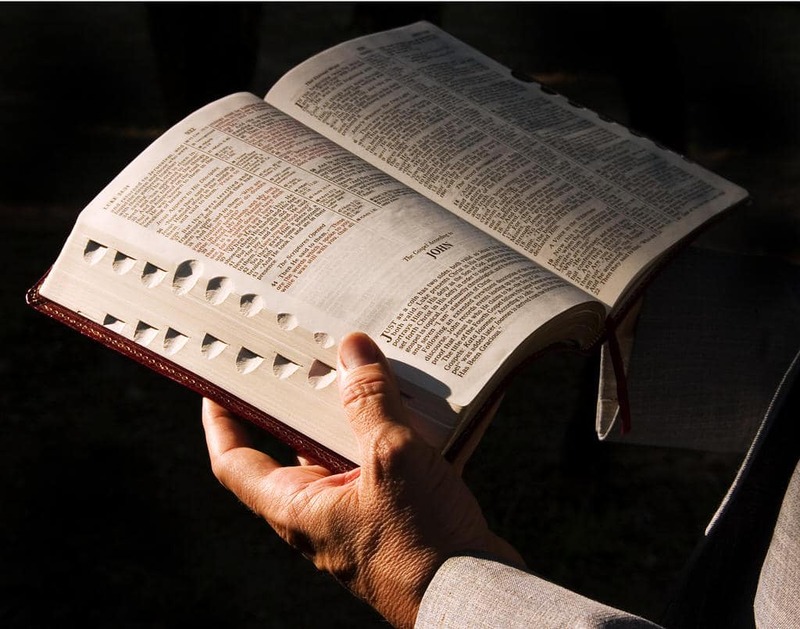 This Bible is not merely a collection of quotes or one-liners but is literally the Word of God. When the Scriptures speak, God is speaking. That is why we must approach the Bible with extreme care and intentionality. How it is read, memorized and quoted is of utmost importance. However, Christians often misunderstand, misquote or misuse verses in the Bible. For example, we may turn to the concordance in the back wanting to find a verse on a particular subject, read the ones suggested, find a favorite one, and then start quoting away! Or, possibly we hear others misquoting verses, they sound right in the moment, so we also begin spreading the misuse without taking the time to study the verse in its author-intended context. Out of Context: This verse has nothing to do with dunking a basketball, hitting a game-winning homerun, bench-pressing a bus, winning the lottery or closing a business deal. In Context: The Apostle Paul is under house arrest awaiting his trial, where he may possibly be put to death for preaching the resurrection of Jesus. However, instead of being defeated by unfortunate circumstances, Paul is using this opportunity to teach the young church in Philippi that he can endure any and every circumstance—ups and downs, highs and lows—because he has a strength that only comes from Christ. This supernatural strength to endure all seasons and situations is always with Paul because the Holy Spirit of Christ is always with him, even in prison. Out of Context: This verse is usually quoted as an encouragement to one another when there is low attendance for a worship service or given as a benediction during a prayer meeting. In fact, if someone really wants to stretch this verse, they may use it as justification for skipping church to “worship” with their family at home, while the football game is playing in the background. In Context: This verse falls specifically within the context of church discipline and dealing with wayward believers. It is meant to be an encouragement to church leaders during tough times of loving confrontation to say that God would be present with the two to three witnesses as they are intentional in correcting and restoring a fallen brother or sister. Out of Context: This verse is typically given to someone as a sentiment during a difficult time, or on a graduation card after crossing a stage receiving his or her diploma or degree. As a stand-alone promise, it appears as though God exists to make us all popular, rich, healthy, and powerfully well known! God declares the American Dream over my life! In Context: This incredible promise is given not to an individual, but to a people group—Hebrews exiled in Babylon. God promised that He had not given up on His people and that even though things looked dire, they still had a future and a hope! So, the word “prosper” doesn’t refer to money or material blessings; it refers to physical and spiritual salvation. It’s a beautiful promise that God is not done with His people and that their future and hope were only found in Him. The promise is that He will see His plans through, and His people get to be a part of them. Out of Context: We’re living in a day that values tolerance above all, unless, of course, someone disagrees with our beliefs, lifestyles, or opinions; then, we’re extremely intolerant. We may even boldly shout, “Only God can judge me!” However, this is Tupac theology, not Biblical theology. We’re also commanded in the Great Commission to “make disciples,” which includes helping others wage war against sin. However, Matthew 7 is a warning against self-righteousness and hypocrisy. If we’re going to correct someone, then we must expect to be held to the same standard. If we judge with aggression, then we can expect to be judged with aggression. Even though we remove the plank in our eye, Jesus still says we must remove the speck in our brother’s. Out of Context: Honestly, the most common travesty committed toward this verse is that only a piece of this verse is quoted. In Context: The greatest justice we can provide for this verse is to actually quote it in its entirety. What an incredible comfort and reminder to know that we can be still and know that God is in control. As His people, we can rest in the truth that He will be exalted in the nations across the earth, and there is nothing that can stop God from accomplishing His will. Everything God does and says is intentional. Every word in the Scriptures is on purpose and placed in the specific context that He desires. Therefore, we must be careful with the Word of God and be intentional in how we speak this Word! Shane Pruitt is a husband, a father, the Director of Missions for the Southern Baptists of Texas Convention. He writes about Biblical truth and culture at alreadyam.com. The piece originally ran on alreadyam.com. It was republished with permission.